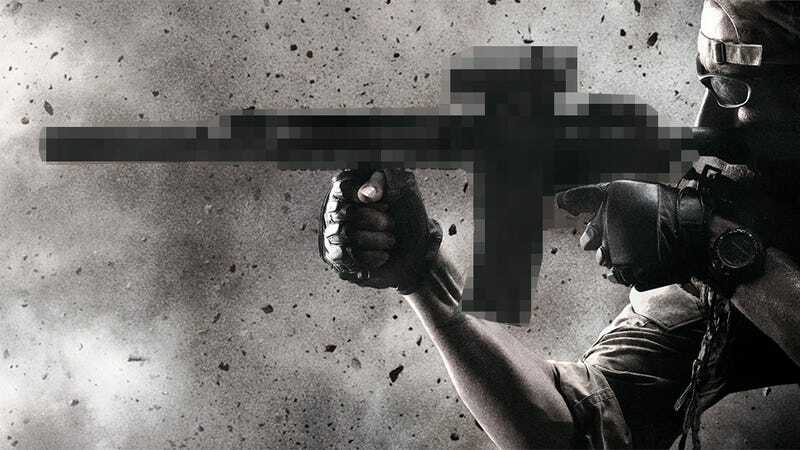 A report on Reuters says that following recent events like the Newtown school shooting, and the controversy over the company's relationship with arms manufacturers, Electronic Arts has made the decision to stop paying for the rights to use real weapons in its video games. But it's still going to use them anyway. Just like it did when Bell launched legal action in 2012 over Battlefield's use of helicopter designs, EA tells Reuters that, despite an intent to copy the designs and even name of famous firearms, it will no longer be paying for that privilege, believing it has a constitutional right under the tenets of free speech to use trademarks without permission. "We're telling a story and we have a point of view," EA's President of Labels Frank Gibeau told Reuters. "A book doesn't pay for saying the word 'Colt,' for example." While the Medal of Honor franchise has been put to bed, EA still plans to release an entry in the Battlefield series - which features contemporary military hardware - later this year.